When selecting technology for use in a volatile environment, choosing between the portability of a tablet and the screen size of a laptop can be a difficult call. The larger screen size of the laptop provides greater visibility, but tablets offer greater durability and portability. 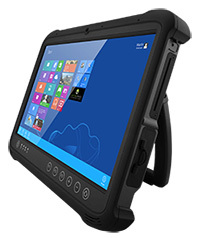 Winmate Communication has released a new option to solve the problem: the new 13.3” M133W rugged, mobile tablet. The elegant, yet fully rugged M133W offers the larger screen size of laptop in a tablet form factor for increased visibility and computing in demanding environments such as automotive manufacturing and vehicle diagnostics. Weighing less than a laptop at 5.3 pounds (approx. 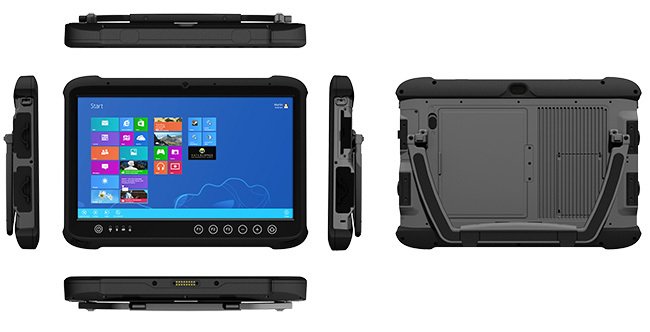 2.4 grams), the M133W delivers lightweight mobility in a rugged tablet. It is also equipped with a hot-swappable battery for uninterrupted operation, and features robust data capture with 1D/2D barcode and HF RFID reader, as well as a smart card reader. Protected against water, extreme temperatures, shock and dust, the M133W offers a highly durable solution, enabling its use in even the most challenging environments. It is sealed to IP65 and meets MIL-STD-810G standards for shock, vibration and 4-foot drops to concrete, as well as functionality in extreme temperatures ranging for 14 to 140 degrees Fahrenheit (-10 to 50°C). The M133W also enables connectivity and reliable wireless communication, with 802.11 a/b/g/n Wi-Fi, Bluetooth 4.0, options for 3G or 4G LTE ready to operate on any carrier, and a highly accurate u-blox GPS. It ships standard with Windows Embedded 8.1 operating system and a 128GB drive to support requirements in industrial applications.